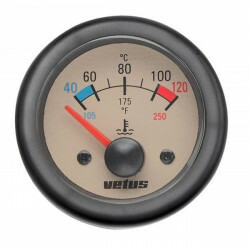 Gauge water temperature TEMPB black | Exalto Emirates LLC. 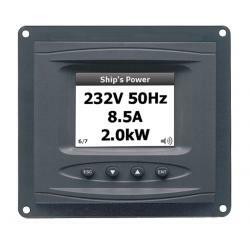 High degree of accuracy: Owing to the very special suspension of the mechanism and the removable pointer, each instrument can be tested and calibrated individually. Smart illumination: No solid dials with over-head illumination from the edge, but translucent dials instead, which are illuminated from below, thus offering optimum readability. 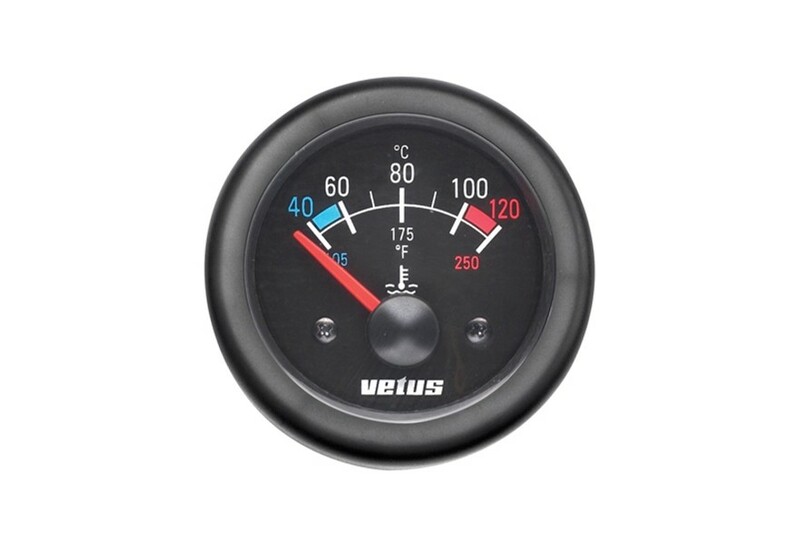 In order to prevent condensation as far as possible, all Vetus instruments are double glazed. 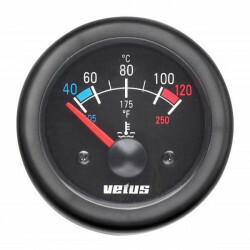 All instruments are supplied with two round bezels as standard: one black plastic and the other chrome finish plastic. White instruments with chrome finish plastic and white plastic. Height: 10 mm. 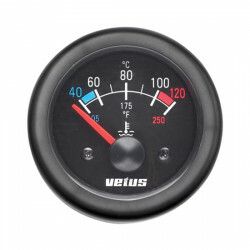 The large instruments have an overall diameter of Ø 114 mm and fit a cut-out of Ø 100 mm. 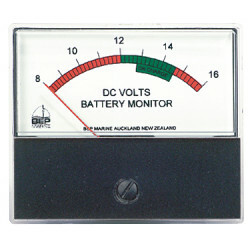 The small instruments have an overall diameter of Ø 63 mm and fit a cut-out of Ø 52 mm. 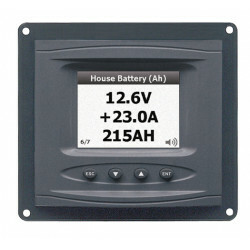 Can be supplied for 12V or 24V dc. Scale calibration: 40-120 oC and 105-250 °F. 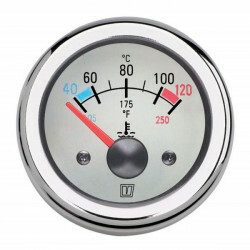 Temperature sensors are available as an optional equipment.